Bronx, NY June 25, 2018– Join us for the grand opening of TSCTA’s newest location on Wednesday, July 18 for an introduction to the most versatile and affordable construction safety training provider in the Bronx. Be a part of the official ribbon cutting, which will take place at 332 E. 149th St between 10 AM and 12 PM. Guests will be treated to a free breakfast, raffles and giveaways, and an exceptional 25% off ANY registration discount exclusively available during our grand opening event. Then, stick around for a free 2-Hour Drug and Alcohol Awareness Course (part of LL 196 required curriculum) starting promptly at 12:30 PM. Additionally, the Associated General Contractors of New York State LLC (AGC), who is generously sponsoring the events’ breakfast, will be on hand to celebrate their recent collaboration with Total Safety Consulting, LLC (TSC). RSVP to the Grand Opening Event by Clicking Here. Operating in conjunction with parent company TSC, TSCTA, a full-service multilingual safety provider, has trained over 200,000 students since its inception. We are an IACET accredited institution that maintains approvals from the NYC Department of Buildings, the FDNY, the EPA, DCJS, and NJDHSS. TSCTA offers a diverse catalog of comprehensive safety training options for both construction and general industry professionals and employs numerous OSHA authorized trainers. The new location will house on premise, fellow subsidiary, Safety Supplies Unlimited, where students can browse a large selection of essential safety products, clothing, and equipment (PPE). SSU will work to identify the specific safety equipment necessary for clients pre-planning, design, and logistics phases of construction. They are also fully licensed to sell and service portable fire extinguishers in NY and NJ. 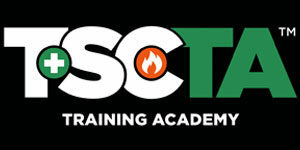 TSCTA leads the industry, providing experienced “hands-on” training, utilizing proven tools, techniques, construction safety training programs and incorporating “Best Practices” of the industry. TSCTA operates throughout the country with the main training facility located in Long Island City, Queens and satellite locations in Manhattan, New Jersey, and now the Bronx. We provide the metropolitan tri-state workforce with the most comprehensive, contemporary, and professional quality safety training and educational programs. We are here to foster professionalism, competency, and safety by developing, delivering, facilitating and supporting training which exceeds our customers’ standards. TSCTA’s courses are predicated upon industry standards and best practices. They are presented by a dedicated team of knowledgeable instructors invested in providing superior instructional delivery to meet the dynamic demands of construction in the New York City area. SSU, a TSC company, was established over a decade ago to meet the demand for safety products, supplies, and personal protective equipment. Order online or in person at one of their 3 locations in NY and NJ, SSU offers fire extinguisher equipment and is fully licensed to sell and service portable fire extinguishers in New York and New Jersey. SSU understands the importance of OSHA, FDNY and DOB regulations and works closely with their clients to identify and recommend the right equipment and supplies to ensure a safe working environment. With over two decades of experience, TSC is the largest privately held provider of innovative solutions-oriented safety management, loss control engineering, and environmental/health safety consulting services. With a professional staff of nearly 300 safety professionals and support staff, TSC has unparalleled expertise in safety management and proven experience in reducing losses and increasing productivity for its clients, making them uniquely qualified to respond to any situation. With headquarters in Long Island City, and satellite offices in Bayonne, New Jersey, TSC is a certified Minority and Women-owned Business Enterprise (M/WBE) by New York State, New York City, Port Authority of NY & NJ, and the NYC School Construction Authority (NYCSCA). The AGC NYS is the leading voice of the building and heavy highway construction industry, representing contractors and related companies dedicated to the ideals of skill, integrity and responsibility. For 90 years, they have delivered a variety of services and programs effectively organized to truly protect the interests of their members. The AGC NYS continuously works to provide their members with the latest information on new technologies, changing specifications, and preventative measures they can implement to better protect their workforce. TSCTA is open Monday to Saturday from 8 AM to 5 PM. More information about the company, our scope of services, and schedule of events can be found on TSCTA.COM or by calling 718-389-2103.